Paradentosis is a chronic inflammatory disease of the gingiva and jaw bones that support the teeth. Statistics show that a large number of people on the planet suffer from paradentosis, even 30-40% of global population. It creates a large number of populations that remain in the elderly without teeth. What are the causes of paradentosis? One of the samples, which may be the most common cause of paradentosis in humans, is a bite or irregular arrangement and a stacking of the upper and lower jaw teeth. Other causes are irregular hygiene of teeth and mouth, presence and development of bacteria, presence of plaque, genetics, and nutrition. What are the symptoms of paradentosis? 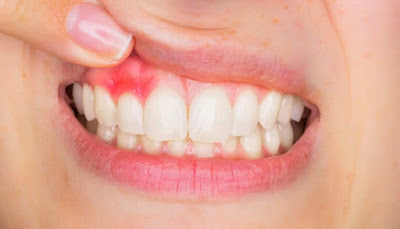 Regular tooth brushing with a middle hard brush and toothpaste, as well as a regular visit to the dentist to reduce the amount of plaque can significantly reduce and delay the occurrence of paradentosis. How to cure paradentosis in a natural way? Ayurveda as an old Indian healing method brings a very effective and extremely simple remedy for the treatment of paradentosis. It is enough to take a little olive oil and muck it in your mouth for 15 minutes after which it spits out. Olive oil has anti-inflammatory and antimicrobial properties, nourishes the gums and slows the development of bacteria in the mouth. Prevention consists in the use of healthy foods, fruits and vegetables in a fresh state. Propolis is a bee product that has strong antimicrobial and anti-inflammatory properties. Strengthens immunity. It can be used in the form of an alcoholic tincture where 15 drops are dissolved in water and rinsed out. Of essential oils in the treatment of paradentosis, in used are tree tea oil, neem, peppermint, oregano, and clove. They have to be dissolved with base oil and rinse the mouth. This vitamin is obtained mostly through the sun and has it in foods of animal origin (eggs, yolk, cheese, milk). Today, toothpaste with coenzyme Q content has been produced, which has proven to be an effective protection against paradentosis, caries and tooth decay.